We are delighted to report that TR Register member Simon Leifer's 1968 Triumph TR5 has been short listed by Sir Stirling Moss as one of 30 cars competing for one of the three prestigious daily "Best in Show" awards at this weekends Goodwood Revival (11th, 12th and 13th September). Ten cars will be displayed on each of the three days located 'Over the Road' at the Stewart Miller & Peter James Insurance Stand - and all visitors will be very welcome to view them. 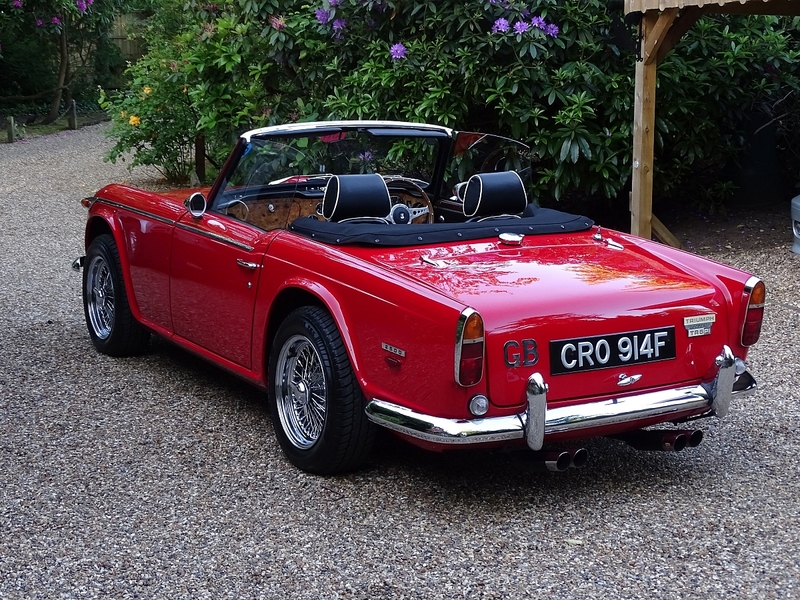 A proven extensive race winner this stunning Triumph TR5 was recommissioned to road going use in 2003 and registered with FIVA. The "Best in Show" winner each day will be presented by Sir Stirling Moss with a magnum of Veuve Clicquot Champagne, an engraved silver salver, a £100 insurance voucher from Stewart Miller & Peter James Insurance and, of course, Goodwood Revival 2016 tickets. Furthermore, the TR Register's very own 'TS2' will be supporting Simon Leifer with its appearance in the Revival Car Show held across the three days of the Goodwood Revival Weekend. TS2 is the first right-hand drive TR ever made and was the press vehicle for Standard Triumph. It is held in trust and maintained by the TR Register who allows its members access to this historically important vehicle. Simon needs your vote: you can vote online now by clicking on the button below or on the Stewart Miller & Peter James Insurance Stand 'Over the Road' at Revival. Let's hear it for the TR5! 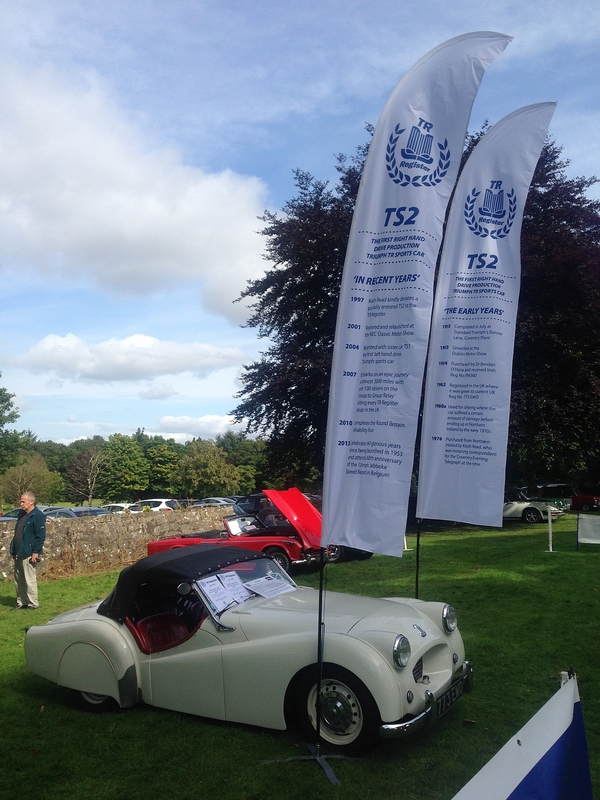 TS2 will be present throughout the Goodwood Revival on display in the Revival Car Show area.